This Delicious Fat-Burning Soup will Help You to Lose Weight! This Delicious Fat-Burning Soup will Help You to Lose Weight in 7 Days! If you have not heard about the Seven Day Fat-Burning Soup Diet, this is a way to discover more the soup that can change your life. 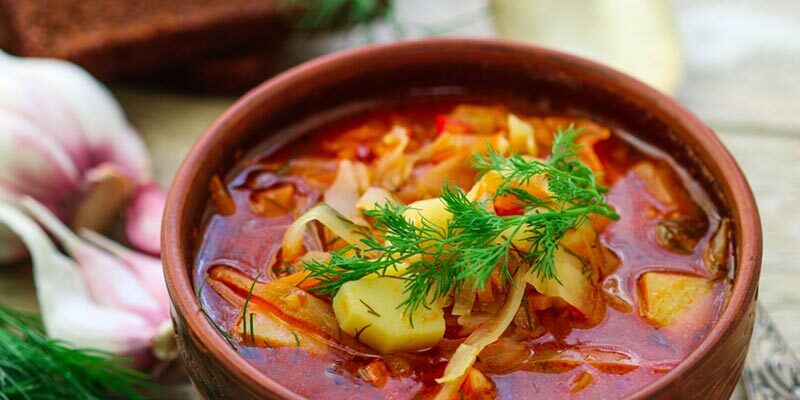 This seven days program is excellent and contains cabbage soup which is fat-burning. The amazing thing is that in this period, you can eat as much soup as you feel pleased, every time you feel hunger. This soup does not add calories. Therefore, as you eat you lose calories. Actually, it works as a meal with “negative calories”, so it will speed up your metabolism and as a result you will burn more calories than the ones you take in. In addition, you will also succeed to detoxify and slim down your body. Try not to miss a day. If you have to travel or have a long and busy day, take your soup in a thermos. Consume it according to the diet plan which is being explained in the text that follows. However, it could cause malnutrition if consumed alone for long period. When making the diet, you should drink plenty of fresh water, that is, ½ of your body weight in ounces of water. If you want to increase the benefit to your digestive system, from bacteria and yeasts, you can include kombucha to the diet. There are few ways to prepare the soup. However, only two are described here, the original recipe of the cabbage soup and a version although modified still amazing, because it is organic. It does not contains canned vegetables or soup mixes. Optional: beef bouillon, Tabasco sauce, curry powder, chopped parsley, cayenne pepper. The preparation of this remarkable soup is simple, just put all the vegetables in a pot, add the spices, cover with water and bring to a fast boil for ten minutes and then reduce to a simmer. The vegetables should be cooked until they become tender. In a small amount of vegetable or coconut oil saute all vegetables, except for tomatoes and cabbage. Next, put them in a pot, add the tomatoes and the cabbage. Cover with water and bring to a boil. Reduce heat and simmer until the vegetables become tender and then add some fresh or dried herbs and simmer for 5 minutes. Season to taste. Also, you can prepare this fat-burning soup in a crock pot for 6-8 hours. Day 1: Eat the fat-burning soup and fruits only. You can also drink unsweetened tea, pure water, cranberry juice or kombucha. Consume all kind of fruits, but avoid bananas. You can eat more watermelon and cantaloupe a lot, since they are low in calories. Day 2: Eat soup and vegetables only, and eat the vegetables along with the soup. Avoid dry beans, peas and corn and eat green, leafy vegetables. For dinner, you can reward yourself with a big buttered potato. No fruits are allowed. Day 3: Eat all the soup, vegetables, and fruits you want, but you can have no baked potato for dinner. 5-7 lbs should be lost if you have stick to the diet for three days. Day 4: The fourth day is banana and skim milk day! Both bananas and milk are high in calories and carbohydrates, but on this particular day your body will be in need of potassium, carbohydrates, proteins and calcium to lessen cravings for sweets. Eat not more than 3 bananas. Drink lots of glasses of water together with the soup. Day 5: 10-20 ounces of beef or lamb, not more than 6 organic tomatoes, wheat gluten (seitan), chicken (no skin), aduki beans, fish. Consume fed animal protein of high-quality which is free of hormones or antibiotics. Try to drink at least 6-8 glasses of water. The uric acid must be flushed out of the body. Consume the fat-burning soup, once at least, once during this day. Day 6: Consume as much amount as you wish of seitan (wheat gluten), beef, fish or lamb, or chicken with no skin, aduki beans together with vegetables on this six. In addition, you can also have 2 or 3 steaks with green leafy vegetables. No baked potatoes today. Once again, be sure to eat the soup at least once during this day. Day 7: Unsweetened fruit, vegetables and brown rice. There is no limit of the consumption of fruits and vegetables, but eat the soup at least once today. If all the rules from the program took place, 10-17 pounds will be lost by the end of the 7th day. If you have lost 15 pounds or more, make a pause of 2- days. Then start again from the beginning. Always have in mind the fact that each digestive system is differs. Therefore, this diet will affect everyone differently and can give different results. If you stick to the program correctly, the diet with Cabbage Soup diet will cleanse the impurities from your organism. Furthermore, it will give you a healthier and lighter feeling and energy. What is great about it is that it can be used as often as you like. Continue this diet plan as long as you feel physical and mental difference. The Cabbage Soup Diet: What is it and Does it actually work?